Sheet Metal Design Overhaul. Sheet metal design is an essential tool for fabricators, engineers, manufacturers and commercial construction. Active software development has resulted in ZW3D 2017 Sheet Metal improvements with almost every command. 2017 users now have extended history and parametric control of all 3D sheet metal features. All ZW3D sheet metal features allow flatten and auto-sheet-nesting. Specific commands and options have been added for S-Bend, Mitre, Hem, Jog, Swept, Taper and Normal Cut. 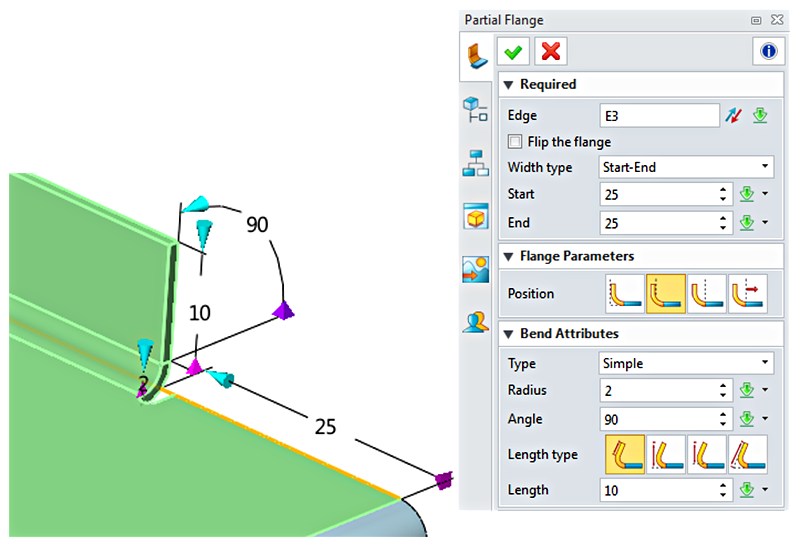 Swept body flange features now support all path types, open/closed tangent or connected path while still producing a correct unfold pattern result. 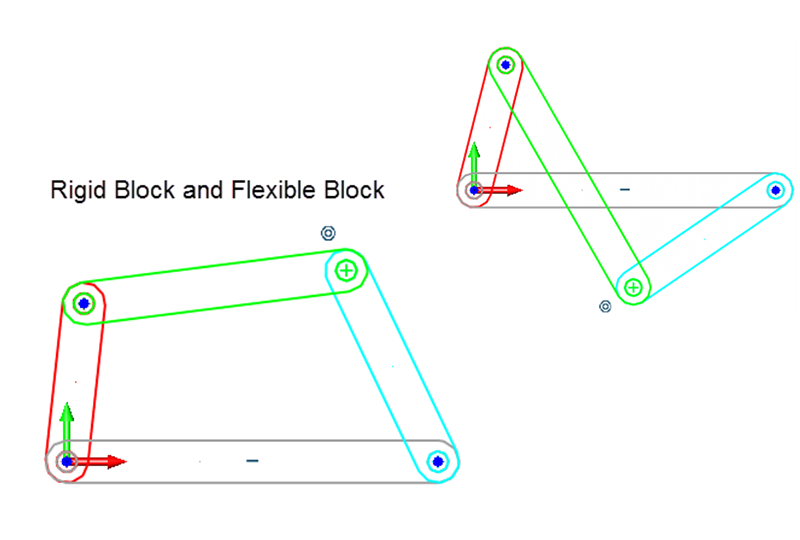 Fold by Line has been optimized to allow users to specify linear bends in any location, with improved line length compliance for more precise bend application. ZW3D users can also convert regular solid models to sheet metal and recognize sheet metal features in imported models such as STEP or SolidWorks. New Dynamic Section View. 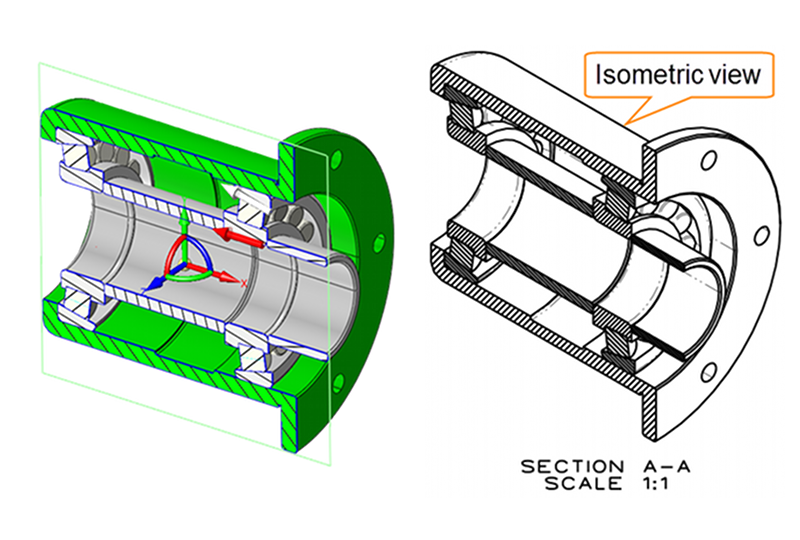 Section views allow designers to communicate complex internal part and assembly features, as well as visually check for proper internal fit, alignment and clearance. 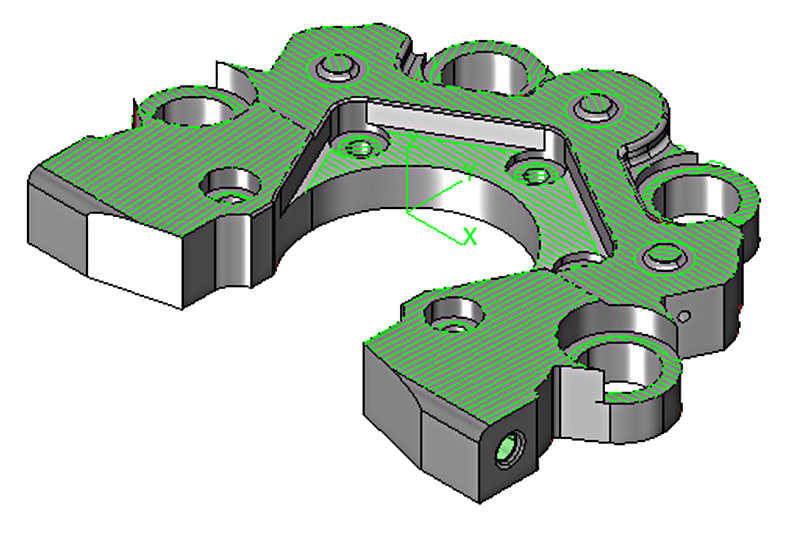 ZW3D new Dynamic Section View offers a new click-drag handle for quickly cutting to "see through" the internal structure of designs on the fly. Different display modes such as hidden-line or shaded, as well as cross-hatching can be changed for view clarity. Assembly-level interferences can also be shown using a specified colour. Features can be edited or measured within the section view. View control is intuitive and allows for easy navigation, reversal and re-orientation. Section Views can be named and saved to the View Manager for later use. Saved Section Views can be used with 2D drawing sheets as Isometric Views. New Re-usable Sketch Blocks. Design Reuse saves users time and allows them to standardize repeat aspects of the overall design. ZW3D 2017 introduces Sketch Blocks, a new way of creating a sketch once and then re-using it in multiple designs. Sketch Blocks have a single set of attributes like colour and properties like 'rigid'(default) or 'flexible'. Sketch Blocks are easily managed via the new Block Manager interface. Sketch blocks can be grouped together within larger Sketch Blocks and then exploded back into individually managed smaller Blocks later. Sketch blocks can be kept internal to the current model file or saved externally as a 'Ready Sketch'. The Ready Sketch file can then be re-used in other designs as needed. The F7 key can be used to insert-reference dimensions from other parts of the model while editing a sketch dimension. Part 'blanking' is also now supported in Sketch mode. New Equation Manager. Numerical values and expression logic are central aspects of any modern 3D parametric mechanical design. ZW3D 2017 unifies once separate variable and equation management into a single interface with the new Equation Manager. ZW3D 2017 also adds new support for values entered in different units. Variables of special relevance can be manually grouped together, and display filters can be used to refine the visible list. Import and export variable and expression groups as Microsoft Excel spreadsheets. Expressions and variables can be assigned additional meta-description information. Equation expressions and variables have been unified throughout the rest of the interface. Expressions and Variables are sorted and grouped together under the Expressions Folder of the History Manager, and within the unified Variable Browser which can be called from most other value input windows. Improved 3D Design Tools and 2D Drafting. 3D Solid and Assembly drawing is at the heart of every mechanical CAD system. 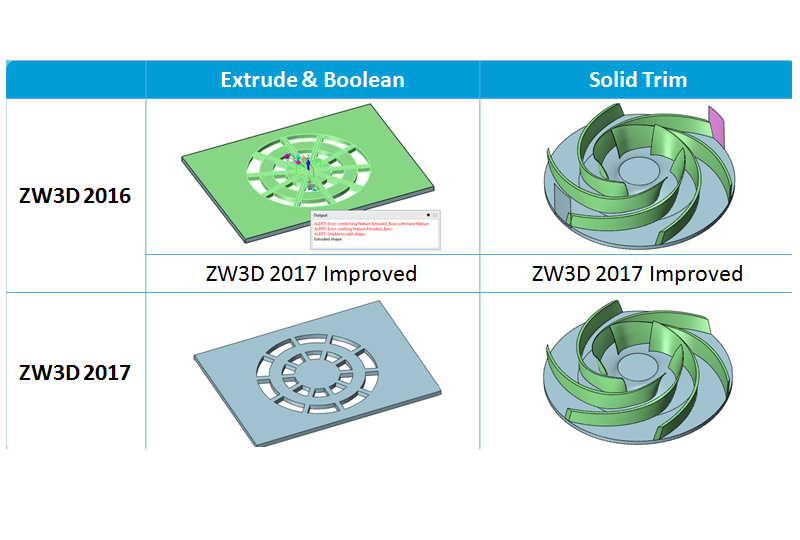 ZW3D 2017 offers across-the-board improvements in many existing tools improving speed, performance and flexibility. Modelling functions like Extrude, Fillet, Trim, Boolean operation, Direct Edit all deliver improved results. Extraction of centre-curves from tubular shapes is now supported. Fillet and Chamfer are now supported in Assembly mode. For 2D drawing sheets, users can now re-select the associated 3D model at any time. 2D Section views now allow control of the background depth-of-display. Drawing date formats can now be better customized. CAD Translators have been updated and include import of 3D PMI from SolidWorks (MBD), Siemens NX, PTC Creo and CATIA. 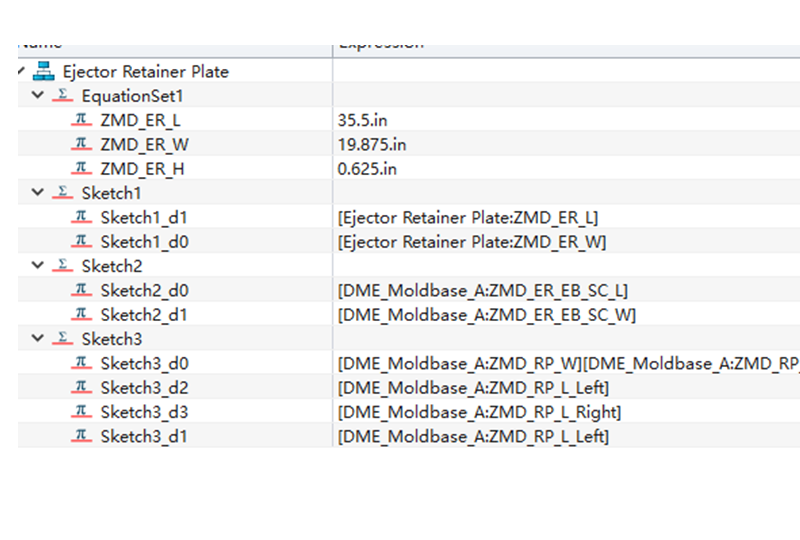 ZW3D now offers a new option to use split assembly-component file structure similar to other major CAD systems. Filesize itself has been greatly reduced in ZW3D 2017 (>50% in some cases). Improved CAM. CNC machining allows fabricators, machinists, manufacturers and tool shops to cut real-world physical parts from CAD designs. ZW3D 2017 continues to offer affordable CAD/CAM software to meet the needs of many different business types with a range of solutions based on budget and requirement. CADDIT Australia has reached agreement to offer a unique "ZW3D Workshop" bundle which offers all of design and manufacturing needs of typical Australian fabricators without additional cost normally incurred by the Mould and Die Tool design option. ZW3D 2017 has added a new Flat Finishing operation directly in 3X Quickmill itself, to allow for quick completion of flat machining without the need to switch to Prismatic. ZW3D 2017 now supports Engraving operations with user-defined machine tools, defined via the Tool interface. Simultaneous Mill-Turn is now supported. Ramp operations now include a Pitch option to support Z step-down and multiple regions. Numerous other improvements have been made to ZW3D CAM to offer best CNC software value-for-dollar for 2017 in Australia. Intel or AMD with SSE2 support.